We have bred Ember to Paxson (owned by Brian O'Connor). Breeding occurred early November. Puppies will be ready to go to their new homes early March 2018. We will ultrasound to confirm pregnancy early December! Ember and Paxson are very similar in breed-type and personality. The pups from this combination should make great dogs for casual hunters, as well as awesome companions for active families. Ember and Pax are both notorious for their "talking" and series of 'woo's and 'woof's when they want a cookie or some love. Paxson was the first Drent we ever saw a photo of. 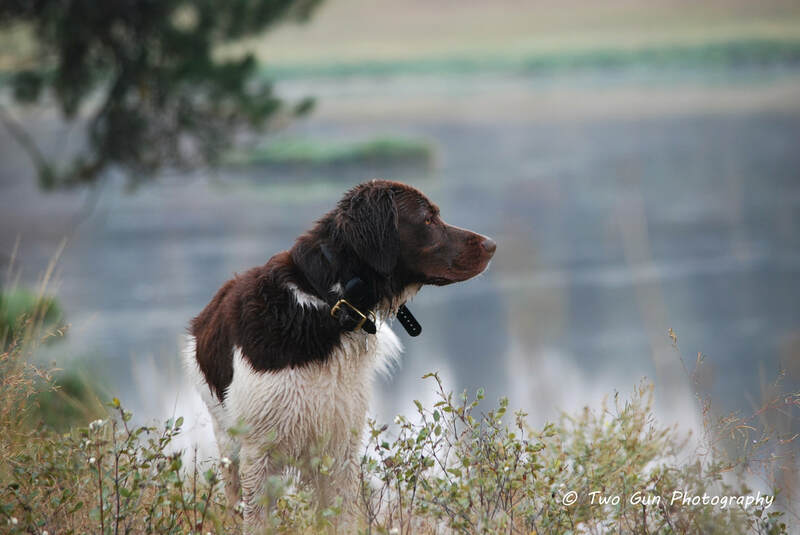 He was the star of the 2010 Gun Dog Magazine article in which we learned about the breed. Over the past few years we've been lucky enough to hunt with Pax, as well as spend time with him in his home. He's an amazing dog and true representative of the breed. He was shown selectively in the Netherlands in his youth with very good results, and has only gotten more lovely with age. 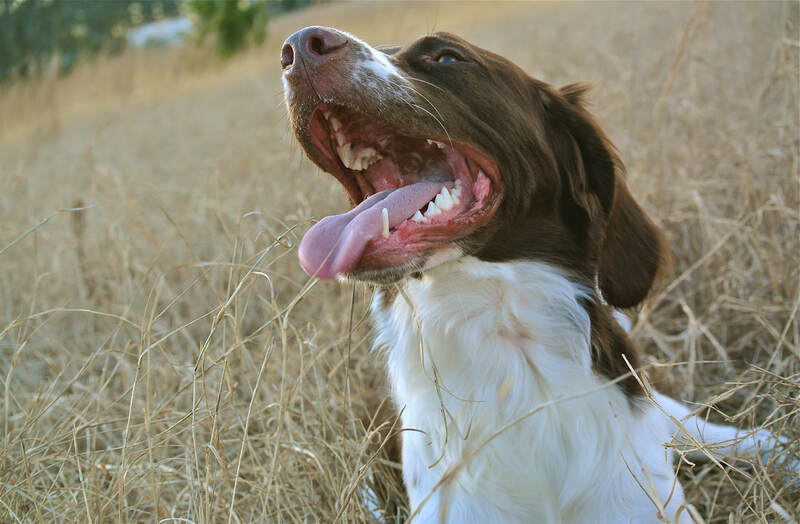 We hope the combination with Ember will produce pups of strong type with very loving and willing-to-please personalities. *** please use the button above to submit a Puppy Application if you are interested in a pup from this litter. If for some reason you cannot get the form to work, please contact us - jenna.myers227@gmail.com or use the Contact Us form at the top. Thank you for your interest!